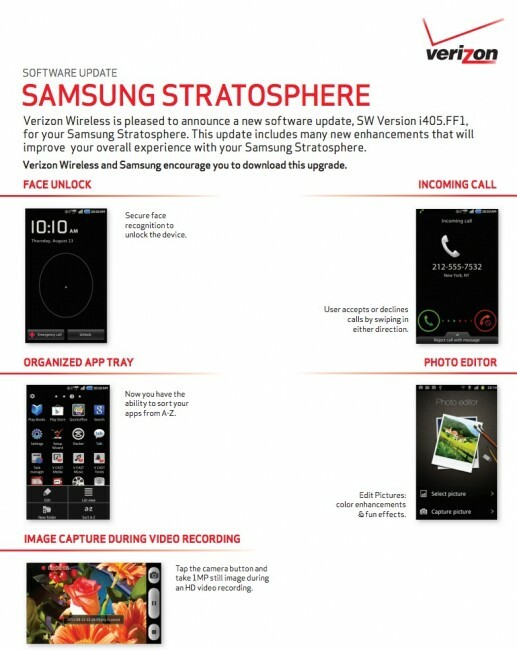 The Samsung Stratosphere is set to receive its first update since being released on Verizon almost a year ago. The update is labeled FF1, is 53.8MB in size, and includes a number of features that will add to the user experience. The biggest is probably the new face unlock that security feature that we have become familiar with thanks to Ice Cream Sandwich (Android 4.0), however, this update is not Ice Cream Sandwich. The device will still be running Gingerbread (Android 2.3). They also tweaked the incoming call screen, gave more sorting options in the app drawer, included a photo editor, and allow for stills to be taken during video recording. 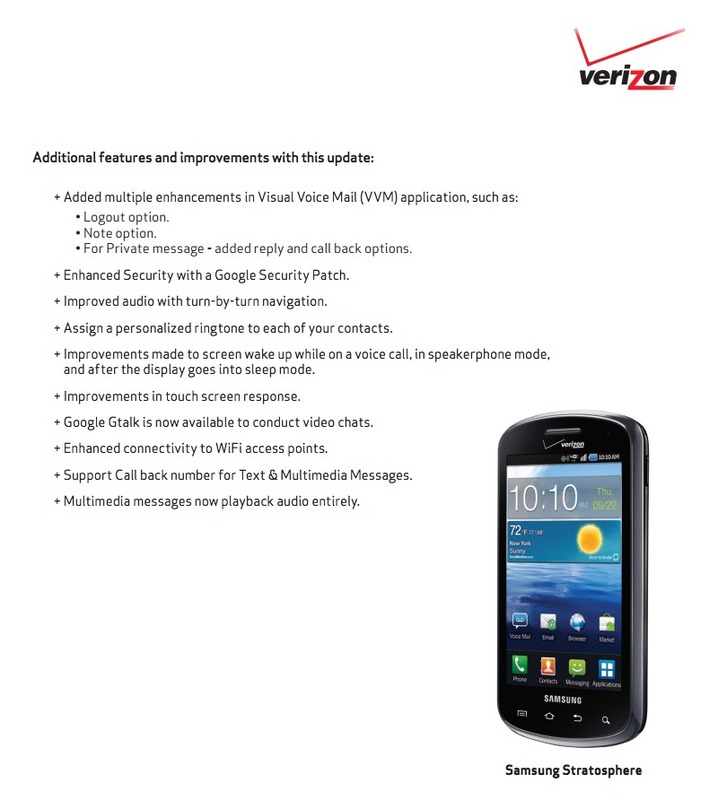 Other than those major UI changes, Verizon and Samsung patched security (probably a root exploit), improved navigation audio, added video chatting in Google Talk, and improved touch screen response. Again, it’s the first update for the device, so as you can expect, it’s a pretty sizable one. No official word has been given for a timeline for rollout to users, but we usually see it within a matter of days once Verizon has posted up support docs like these.